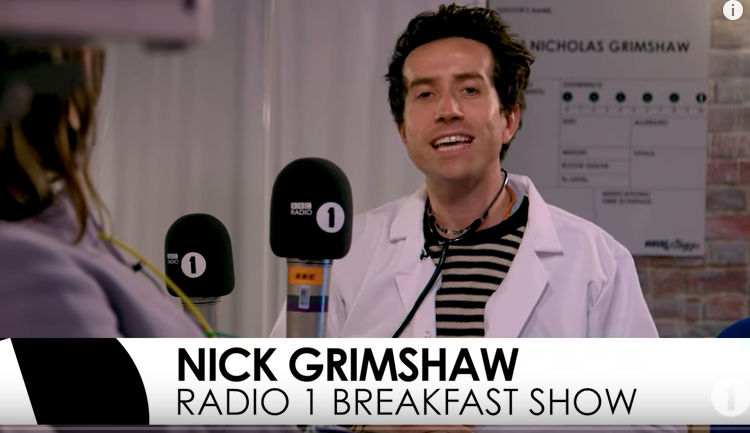 BBC Radio 1 Breakfast with Nick Grimshaw has a new feature where guests are wired up to a heart rate monitor. And today, Maisie Williams took on The ‘Heart Rate Monitor challenge’ with Doctor Nick and we see how she reacts to her boyfriend Ollie Jackson (Game of Thrones actor) revealing a story about her being seen naked by a hotel worker in Bournemouth, Eddie Redmayne predicting how Game of Thrones will end (Maisie lets slip she knows! ), and her flatmate and iBoy co-star, Bill Milner sends a video message from Maisie’s bed. The video is available to watch on Radio 1’s YouTube channel, Radio 1’s BBC iPlayer channel, and below.